There are lots of gift categories you can give your woman, they are just too many of them to choose from, but you must be careful enough not to buy some awful gift item that will turn your woman against you. Why am I saying this, from my experiences and what I have seen around including my research and questionnaire about this gift item. It is a no no for woman, men may not be angry about it but all women can’t take it from you. 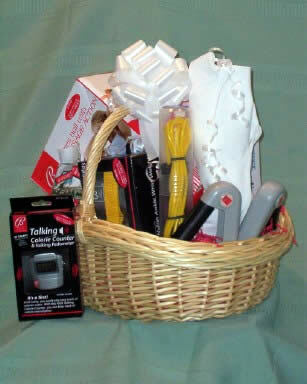 Nastiest gift Products you should not buy your woman is the gift of Diet or fitness products. Honestly speaking, don’t try it as a man, and if you want to doubt me or prove me wrong? Go try it with your woman but don’t say I don’t warn you about this. Unless you’re looking for (gbege) trouble, don’t buy her anything related to weight lost. What this mean is that you don’t even value her, you’re not satisfy with her the way she look like. It may not be your intended message to her but that is what she will feel about it. So, as the Christmas season is already dangling around, you know it is time to buy your love one some gift item even if you’ve not been buying for her as the year progresses. Don’t just buy her diet or fitness products as her gist item. Be warn! If you’re a woman reading this article, please confirm the trueness of it from your own perspective and please give your candid opinion about it using the comment form below for your contribution. And if you’re man like me, tell your story, what you think about it.